The Bright Art Gallery and Cultural Centre is a community owned gallery situated in the beautiful Alpine Shire town of Bright, Victoria. Established in 1962, Bright Art Gallery is largely self-funded, is run entirely by volunteers, and managed by a Committee of Management. The aim of the Bright Art Gallery and Cultural Centre is to provide a varied programme of diverse art exhibitions, workshops and cultural experiences. The premier event of the Bright Art Gallery’s year is the annual Autumn Art Show. Running for over 50 years, the Autumn Art Show is held annually to coincide with the very popular Bright Autumn Festival when the town of Bright is resplendent with Autumn colour. 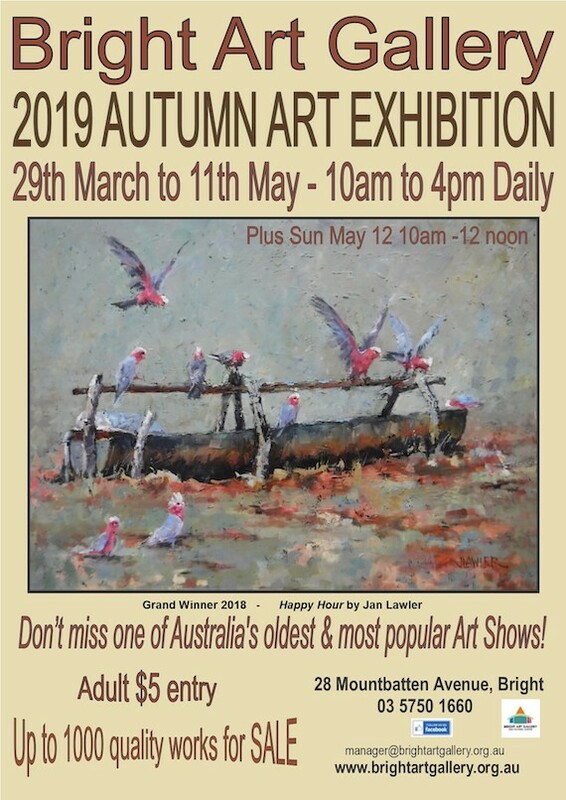 Each year the Autumn Art Show attracts over 800 entries and celebrates the talent of Australian artists from all over the country who compete for very generous prizes for their work in oil, watercolour, pastel, mixed media, drawing and miniature paintings. 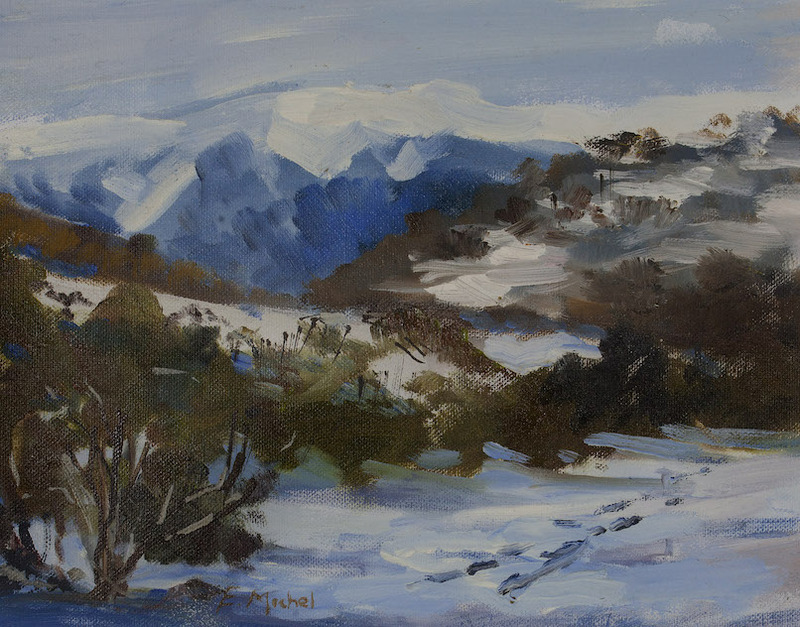 The Grand Prize is an acquisitive prize for the “Best in Show” and the Bright Art Gallery retains the work in its Permanent Collection of over 350 works of Australian art collected over the last 50 years. In addition to the Autumn Art Show, the Bright Art Gallery holds a regular Summer Exhibition offering Alpine Artists working in all formats an opportunity to exhibit their work over the December/January period. The Summer Exhibition presents a varied collection of original art for sale including paintings, photographs, sculptures, ceramics, lead lighting, decorative arts, handmade jewellery, mosaics and woodwork. 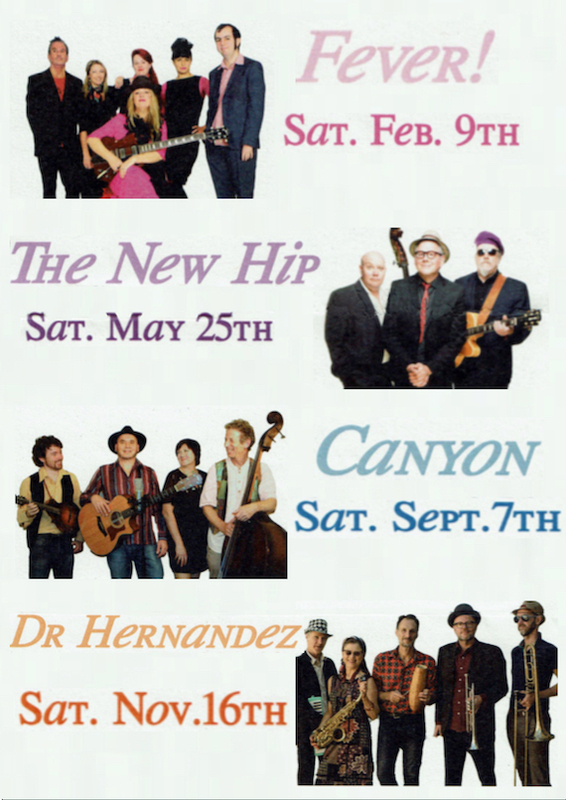 Throughout the year the Bright Art Gallery presents an engaging programme of solo exhibitions, the Bright P-12 School Exhibition and musical events including the popular Café Culture series which is comprised of four musical events throughout the year.